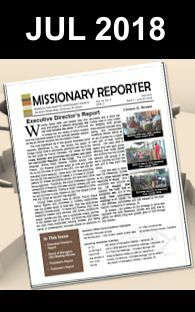 I’m mailing this letter to you because at some point in the past you agreed to hold up prayer concerns as part of the Prayer Ministry Team for the SDB Missionary Society. I hope you can take some time and pray for this concern in West Africa. On Wednesday, August 8th, 2012, Francis E Mattia, pastor and leader of the Sierra Leone conference found that his wife, Lucy, had been horribly killed in a car accident, taking with her the child she had been carrying for four months. Mattia was devastated with grief for the loss to himself and their other children. I assured him that I would be asking followers of Jesus in our conference and around the world to fast and pray for God’s comfort that helps us grieve not as those who do not know the hope we have in Christ. (1 Thessalonians 4:13) So as you are able and led, I am requesting our Prayer Ministry Team to join me in petitioning our Father to help brother Mattia through this valley and bring a peace that only the Holy Spirit can give.